What happens in a response? ...but, they are not too useful if accompanying lightening. This is what classifies the lightening as "dry lightening" which is much more of a hazard for creation of wildfires, with no precipitation to help control/ extinguish the strikes when they hit the ground. Dry lightening happens far more frequently in the western part of the continent . Such thunderstorms are most common in the western portion of the United States during the summer. They occur when the rain produced by thunderstorms falls through a substantial layer of very dry air which evaporates the precipitation before it reaches the ground. 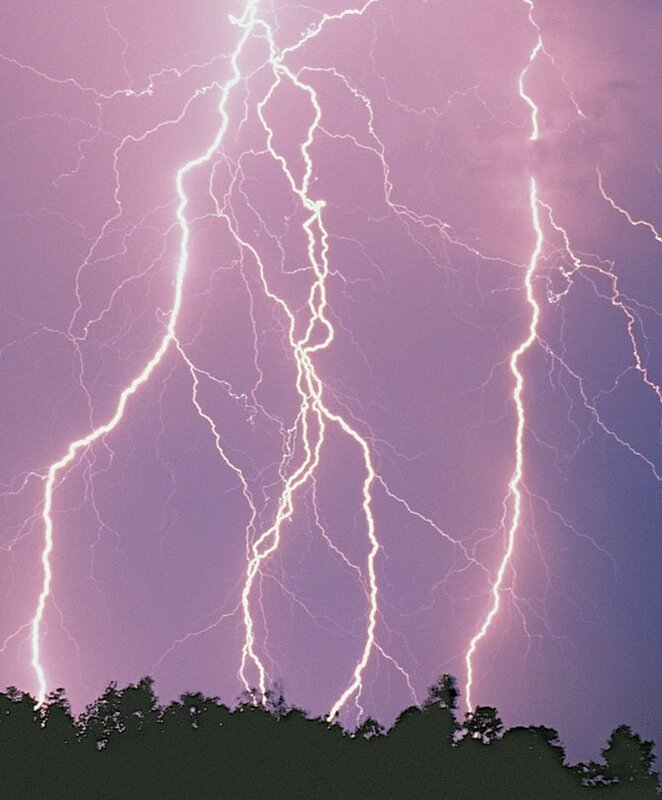 For fire weather purposes, a thunderstorm does not have to be completely dry to be considered dry; in many areas, a tenth of an inch of rain is the threshold between a "wet" and "dry" thunderstorm. Dry thunderstorms are notable for two other reasons: they are the most common natural origin of wildland fires, and they can produce strong gusty surface winds that can fan flames. More on the "gusty wind" part, soon.